Arlington, TX Best Roofing Services | Bert Roofing Inc.
Seeking a roofer in Arlington, Texas? Bert Roofing is a Dallas based roofing company serving Tarrant County. We provide quality roof repairs and roof replacements for residents and businesses in Arlington, Texas and the surrounding areas. Our top priority is to provide exceptional roofing work and roof services for our customers. We are proud to be recognized with Angie’s List and have an A+ rating with the Better Business Bureau. We are also preferred Owens Corning & GAF certified roofers. Since 1988, we’ve been making our customers happy with our quality roofs and remarkable attention to detail and craftsmanship. If you’re in search of the best roofer in Arlington, TX, look no further than Bert Roofing! Get your free roofing estimate today! How old is your home’s current roof? Chances are it has seen better days. If your roof was professionally installed, with the right materials, it could last anywhere from 20 to 25 years, sometimes even longer. Such is the benefit of professional roof installation services. A brand-new roof is crucial to combat the ever-changing climate, intruders, and pests from above. At Bert Roofing, we go above and beyond with our roof installation services. Here at Bert Roofing, we work with homeowners who want the best roof possible. We use high-quality, fully-tested roofing materials. Then, when it comes time for the actual job, we use professional techniques and take immense care to handle the situation. You’ll have a stable, efficient roofing solution right over your head. If your roof is beginning to show signs of its age, or perhaps you are scheduling more repairs than usual, it might be time for a roof replacement. If so, Bert Roofing is one of the top choices for roof replacement in Arlington, TX. We use high-quality materials and efficient techniques to remove your old roof, then install new roofing materials. From shingles to metal sheets, we have experience with all types of roofing. Many homeowners cannot discern between the need for a roof replacement or simple roof repairs. If you are missing a few shingles, then repairs are just fine. However, if you are regularly paying hundreds of dollars each month on such repairs, there is an underlying issue. A badly-damaged roof must be replaced; otherwise, the entire structure is at risk. Take a look at your monthly energy bills. Chances are you are spending more than you thought on heating and cooling your home throughout the year. The reason for this increase in spending could be due to energy loss. If your home is not adequately insulated, the heat and cold air from your HVAC system could be escaping into the great outdoors. Over time, the situation can become quite expensive. Your attic, for instance, is one of the leading causes of energy cause without insulation. At Bert Roofing, we aim to sufficiently insulate your home, attic, and roof. We use high-quality insulation materials and solutions to provide a more comfortable home for everyone. Our superior home insulation services, paired with high-quality roofing materials, will save you money and discomfort in the long-run. Just give us a call for insulation services today! A metal roof is one of the most durable roofing solutions you can enjoy for your home or business. Still, despite the durability and advantages of metal roofing, the occasional repair may be necessary. If you require metal roof repairs, then trust in Bert Roofing. We have a vast history working with metal roofing materials and solutions. We can catch even minor issues early enough to save you time and money. 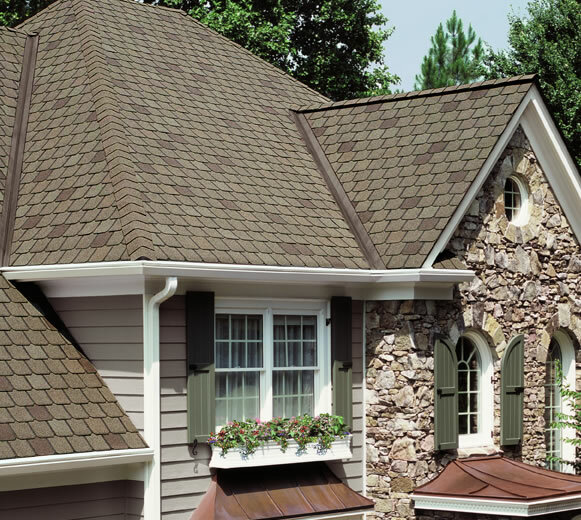 For a metal roof, you may notice damage on the surface from weather or age. Hail is quite a common cause of metal roof damage and dents. If the metal itself is tarnished and damaged, the underlayment may be visible, which could lead to worsening roofing issues. We’ll repair the area with new metal and sealant or swap out the damaged metal panel. Our metal roofing services are guaranteed to keep your home efficient year-round. Bert Roofing’s commercial roofing services are unparalleled in the industry. We have experienced roofing technicians on-staff, waiting to take your call to inspect, repair, and service your company’s roof today. Our commercial roofing services will prolong the lifespan of your roof exponentially. From roof repairs to preventative maintenance, your business’s roof may require some professional attention over the years. Give us a call. Your business is an investment, and have put so much time and energy into the company. Now, something – weather or age – threatens the security of the roof over your head. Depending on the material, we can even clean your roof to prevent standing water, mold or mildew growth, and other common issues. Your roof is an asset. Treat it as such. With just one phone call, Bert Roofing will ensure your commercial roof is high-quality, durable, and protecting your business year-round.